Ever use a cool seed and spawn in a mushroom island biome? Then were you then extremely disappointed by it? Mushroom biomes are cool. You have the cool unlimited food source, the mooshroom! There are giant mushrooms everywhere! And Mycelium! They rock! But, after that, there isn't much else. 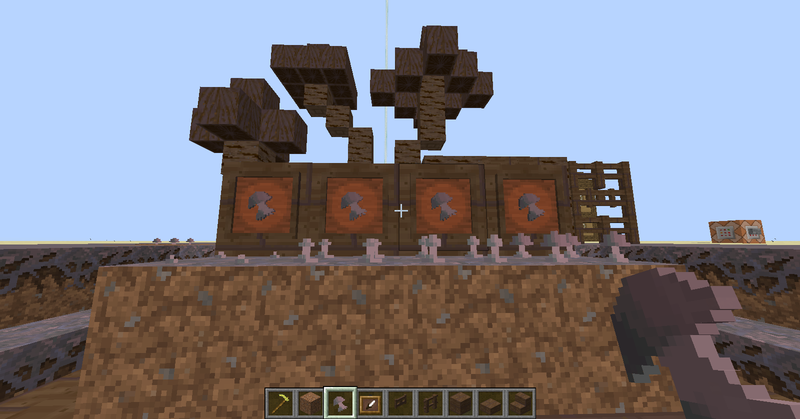 Red and brown mushrooms are everywhere in the Overworld and Nether. You can grow the giant mushrooms anywhere too! Why don't we just focus on a bunch of new things to make this place special again! Now that we have the Wood Blewit out of the way, I have another suggestion that relates to it. When Wood Blewits are Bonemealed to grow into a Giant Mushroom, their stalks take on a wood-like appearance and hardness. They can be chopped down like trees, and can be Crafted into a purple-ish plank. The leaves of the Mushroom do not decay like normalGiant Mushrooms, and have a chance to drop Wood Blewits when broken. Have you ever watched the Journey to the Center of the Earth, 1959 Edition? In the movie, (spoilers) the group finds an ancient mushroom forest underground, and used the mushrooms to repair their supplies, and construct a raft to cross an ocean to escape dinosaurs. 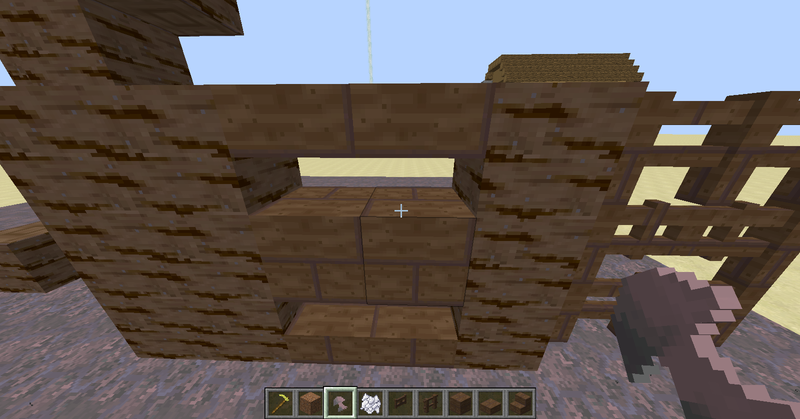 Why not add mushroom themed wood(wood like mushroom)? They would only generate in Mushroom island biomes, not the “shore” variant of mushroom biome. It would have a brown-ish purple "bark" and a slightly purple-ish brown core. The "logs" (stalk) would generate similar to an acacia tree's logs, forking in places and having a very small amount of “leaves” (Cap) on the end. The "leaves" (cap) would be purple. The "sapling" (spores) would be dropped from the caps and it would look like a forking mushroom. This will only grow if bone mealed , as it looks kinda cool in its smaller form. Small variants of this are found in both types of mushroom island biome, and will "spread out" and grow like other mushrooms. 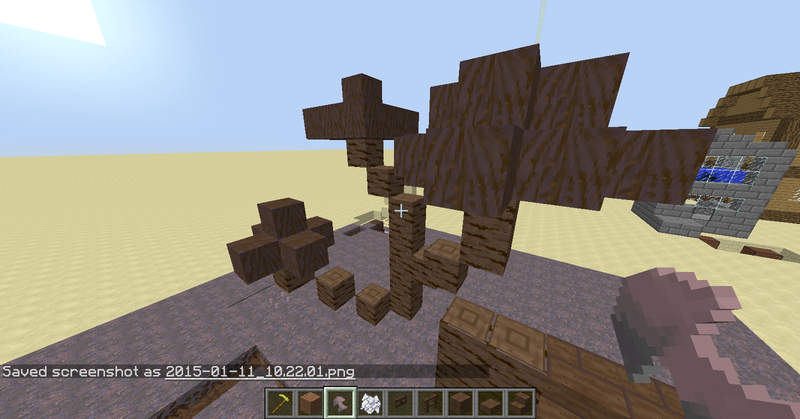 Because I forgot to add the "sapling" (i guess the spores), there are two spoilers instead of one. Tired of mushroom stew? Need something with more saturation? Why not have a wood blewit? I chose this one because it is edible in real life, and is slightly purple. 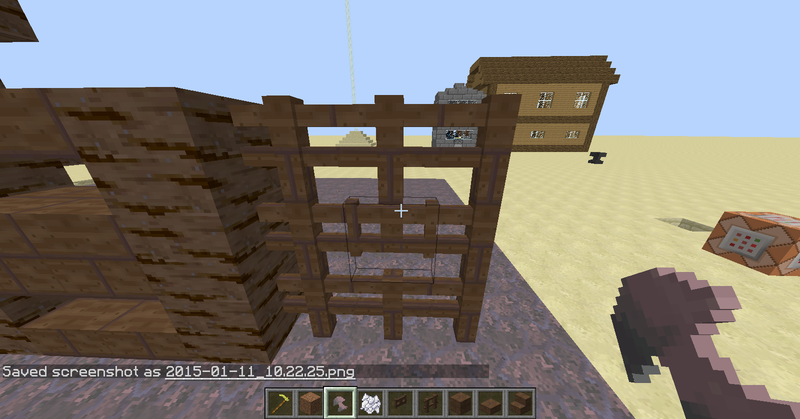 It would replenish 2 ( ) hunger points and have the same amount of saturation as a raw mutton (1.2)! That’s not too impressive, but gets better if you cook it! When cooked, it replenishes 5 ( ) hunger points, and has a higher amount of saturation, 9.2! That’s more than a golden apple! Where does it grow? 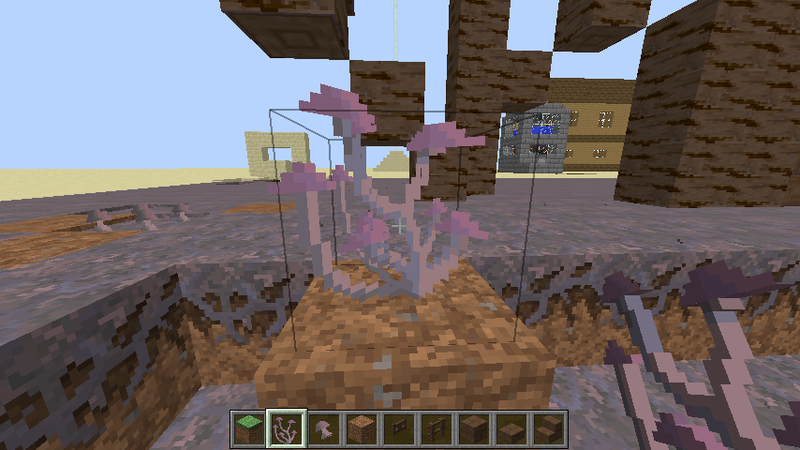 It would be found growing wild all across the mushroom island biome! But you could very rarely find it growing in a roofed forest biome too (in roofed forest biomes, it would be 50 times rarer than finding a normal variety of mushroom, so after you find about 50 red or brown mushrooms, you might find on wood blewit)! How does it grow? Well, it would grow differently than any other crop, because you would just place it on a block and it will grow! No water or farmland necessary! It will grow on normal dirt, on any wooden log, on netherrack, and on a grass block, as long as the light levels are 8 or below. You could grow it at any light level if you grow it on mycelium though. It’s on a farmland block that looks like mycelium, ok? I never said I was great at making things look right. I just altered the texture of a carrot! This would be kind of a small addition, but it would make the whole mushroom biome much more sought after, having new building materials and food, making the biome special again! 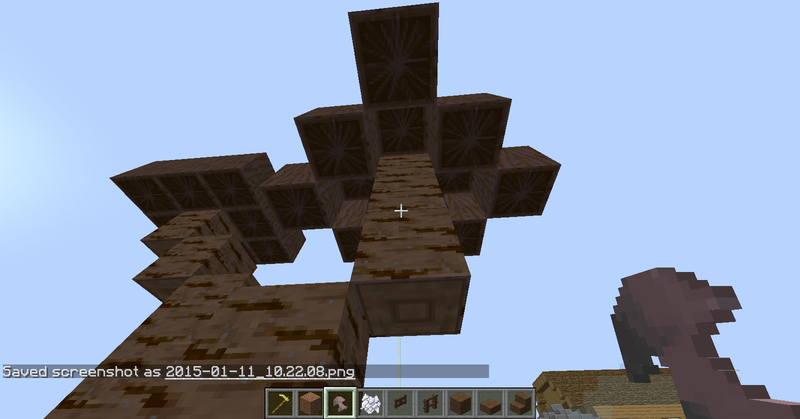 I think that Mushroom Biomes for their rarity should have something new to them, but wood isn't really a good choice. Those biomes were created to be all mushrooms with nothing else, as if the parasitic fungi killed off everything; even affecting the wildlife of the area. The Wood Blewit does sound like an interesting food item, and reminds me much of the classier mushrooms suggestion from awhile back. I don't see the point. 5 hunger points? I don't care how rare a food is but I don't think any food should go over 4 points. You forgot one of the most important benefits to being on a Mushroom Island - no hostile mobs (aside from spawners); you can also bring in wood from other areas if you want to live in one (must ensure the dirt the trees grow on is separated from mycelium, or grow them on a patch of grass once you have Silk Touch), and spawning on one isn't as bad since they reduced the size of oceans (well, you may still have to swim a lot). I do agree that they should have more variety though. So you think the game needs to be more tedious? Imagine having to eat every 30 seconds (as well as having to drink, stay warm/cool, etc) - would you enjoy the game now? It is just ridiculous that you don't support this suggestion because it suggests a food that is far from the best food you can get; they said 5 hunger points - meaning 2 1/2 food bars, just half as much as rabbit stew and only as much as bread; cooked mutton is very similar (6 hunger and 9.6 saturation). The problems with food many people have stem from it being so easy to obtain food; some people even eat foods like melons and cookies despite their low quality because it is easy to farm them and it doesn't matter much if you aren't running around and fighting all the time (they were OP before 1.6 as healing didn't drain hunger so a single slice could regenerate 9.5 hearts). Nerfing food also just discourages exploration, and I don't mean like popping into a cave for 10 minutes to get iron for more tools/armor, which requires very little food (even less if it is a completely sheltered mine - it is possible to get diamond armor, very easy for iron, without ever eating since spawning, without starving in the process, if you are careful about jumping and sprinting and mine efficiently). Sorry, i changed my phrasing a bit. The "wood" is just a really dense type of giant mushroom, not real wood. And yes, the classier mushroom suggestion was in the back of my mind while making this. Five points is as much as bread, its 3 1/2 hunger hunches. Not a superfood, but still useful. Steak does more points anyway. Can you explain a bit more, I'm confused? And what about the wood? It might be useful in some builds. Well, a wood like mushroom, actually. But thanks! 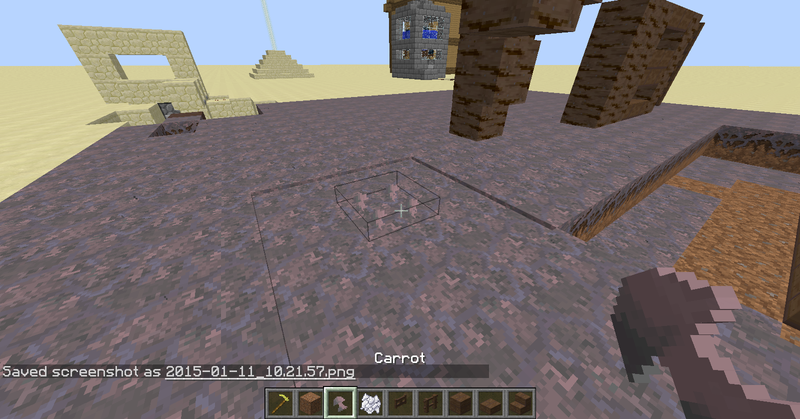 And texture wise, its actually a re textured carrot. But i guess its kinda similar to a potato, but the wood blewit does more haunches and saturation than potatoes. And there is no poisonous variety. Well, that's true, you can bring wood over from other places. But it doesn't really fit that well with the look of mushroom islands. That's what actually made me think of this suggestion. Glad you agree with that though. I'm just curious of what you thought of the wood blewit yourself? Mushroom stew and beef is the only food on those islands. And it gets annoying after a while. I like mooshrooms wandering around aimlessly everywhere, and dislike the island when its empty of them. So beef is off the menu quickly, because there is no grass to get wheat to breed them. Unless you mentioned it otherwise, I'd probably guess that the Wood Blewit's Giant Mushroom variety is in fact the 'Mushroom Trees' you suggested? I also did a bit of research and the only possible Mushroom the generic Red Mushroom could be is Amanita Muscaria which a psychoactive (or hallucinogenic) mushrooms species. Just a little fact in case you might want to expand on that. I'd also most likely guess the generic Beige Mushrooms are Portabellas. I'm just putting this out there, but since the old classier mushrooms suggestion has gone a bit dormant, you could probably revive it here in this thread and include your Wood Blewit and Mushroom trees, and I would be more than happy to do some texturing for the mushrooms as well (I might have someone who can do the Tree textures, but it may be a bit longer than the rest). I do think that the Wood Blewit should be the normal form of the Mushroom Tree because of the name and the textures are very similar in color. On the Red Mushroom-Beige Mushroom thing, I was just adding that in case you could add something with them. They are similar, And help with texturing stuff would be helpful, but i think that the two mushrooms should be different. Because you have to grow the wood blewit like a carrot or potatoes, so bonemeal should advance those stages. But i guess i could do that, make them the same mushroom, just by making the cap drop the mushrooms, and making them grow like normal mushrooms, and getting rid of the "raw" form of the mushroom. All add that as an alternative. Cooked Porkchops give 8 hunger points, cooked salmon give 6, pumpkin pie gives 8, cooked steak gives 8, and rabbit stew gives 10. Bro, like, what version of Minecraft you playin'?